Jack 'O' Slasher Review- Hacked in the Head Blog UK! There is a Special Satanic Ritual on this night! The Satanic Cult is trying to resurrect the JACK 'O' SLASHER! 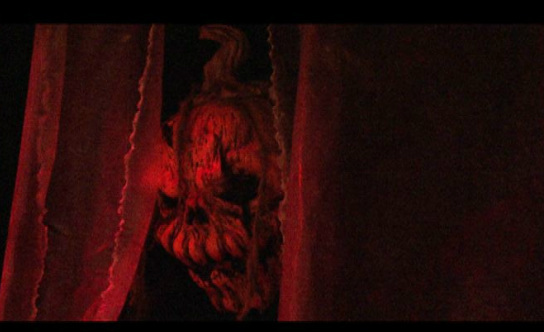 Jack 'O' Slasher is a bloodthirsty demon from hell, with the head of a rotting jack o' lantern! Jack 'O' Slasher is not the smartest pumpkin in the patch. He is much more interested in killing all the sacrifices before the time of the ritual! Will Jack 'O' Slasher leave enough people alive to complete the satanic sacrifices? Will Satan be resurrected and bring eternal hell on Earth? Jack 'O' Slasher -A Jennifer Valdes Film! You can follow the Jack 'O' Slasher movie on facebook! Please like our page and stay tuned for movie screenings and updates!